Congratulations from all of us at Micro Focus! As a CIO these days, it’s critical to balance potential risk to rewards as vital technical decisions are made. The wider business must be positioned to meet the requests of customers with the speed they expect in this digital age. Additionally IT Departments also need to constantly innovate and introduce new streamlined offerings and services to support the markets they serve. 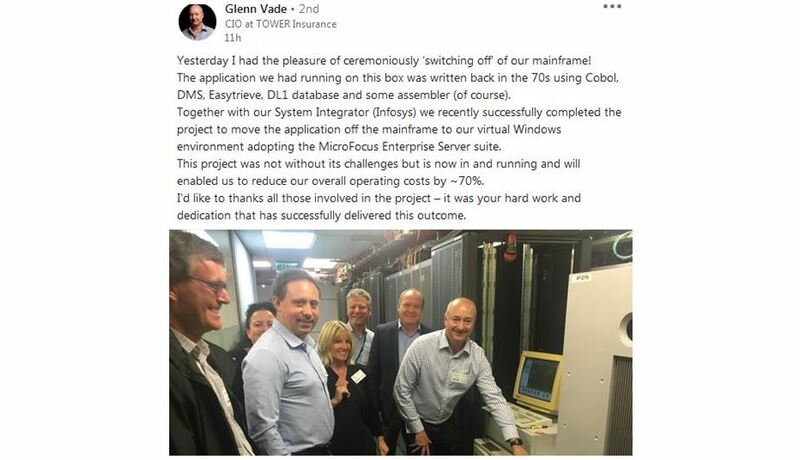 About 3 weeks ago, Tower Insurance went live with their core mainframe application running on a virtual Windows environment. Adopting Micro Focus products Enterprise Server, Enterprise Developer and Enterprise Test Server, has enabled them to respond quickly to market changes, attract new talent by leveraging a modern IDE (Visual Studio), and reduce overall operating costs by an estimated 70%. 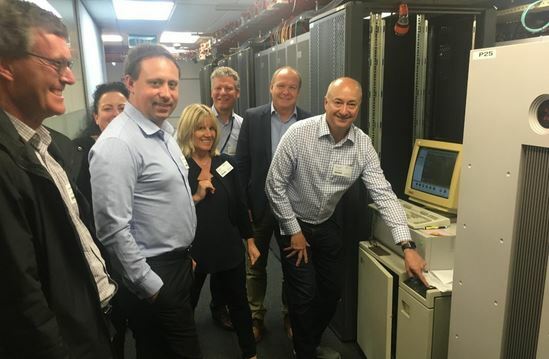 When their Micro Focus Account Manager, Eric Feinberg, initially approached Tower Insurance and suggested that they could re-host their business critical COBOL-based mainframe application onto a platform such as Windows, they were slightly sceptical. 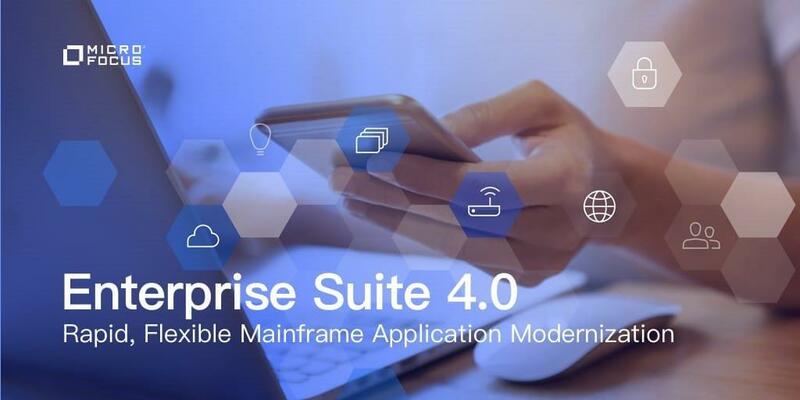 The age of the mainframe, the complexity of the environment that had evolved with the business along with previous unsuccessful attempts, all led to serious levels of doubt that this could be achieved, despite being aware of Micro Focus’ strong market reputation. Our partner, Infosys, was engaged to take the delivery lead and, while the project was not without its challenges, Infosys and Micro Focus always offered solutions instead of excuses, and drove the project forward to budget and deadline. In addition to the obvious cost benefits, Tower Insurance are now in a position to provide their teams with a modern development environment and take the next step of their application modernisation journey by leveraging a flexible distributed infrastructure.